Nepal Yoga Academy is run by an experienced Yoga Guru who has been blessed by Swamis, yoga and spiritual gurus in India and Nepal. 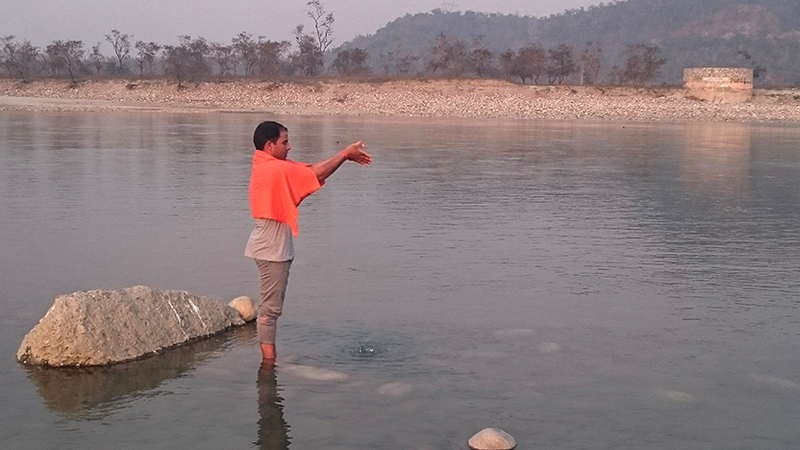 We hope to provide a spiritually enriching environment for self realization. Sit down with our experienced teachers and have a one on one Q&A session. Dr. Chintamani Gautam represents the peak of yogic knowledge and teaching in the Himalayan region. Dr. Chintamani has also studied the ancient scriptures including Vedas, Upanishads, the Gita, the great six Eastern Philosophies and many other ancient yogic scriptures with some of the top rated Sanskrit scholars and Swamis in Nepal and India. In learning the traditional art of Yoga and Meditation he studied under the guidance of great Himalayan Gurus which inspired him to practice and realize the root essence of yoga. Now, with this wealth of knowledge and experience, Dr. Chintamni wants to extend yoga from the long Himalaya range (the origin of yoga) worldwide, teaching Yoga in its proper form. Whilst learning the many aspects of yoga at our centre, Dr. Chintamani’s wisdom and experience will inspire and guide your progress into the deep practice of yoga known as Sadhana. His yoga classes are full of uplifting energy, fusing yogic and modern science knowledge with his genuine loving nature and sense of humor. 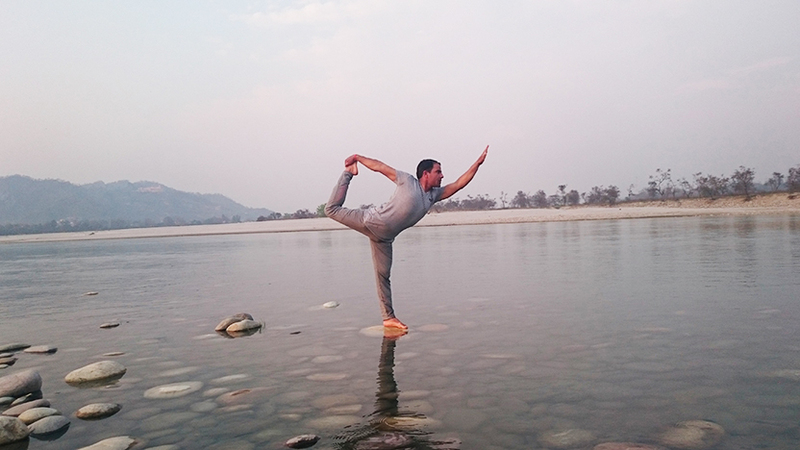 His excellent communication skills and enthusiasm will connect you to the spirit of classical yoga in the Himalayas. Dr. Chintamani Gautam is friendly and welcoming. He will make you feel comfortable and safe whilst practicing yoga. It doesn’t matter if you are a beginner or an advanced yogi because the practice is based on the karma system-sequence which means the same asana/pose can be practiced by everyone. The classes are designed for beginners, intermediate and advance level students. Those already practicing yoga will find that this system pushes their body and mind to the next level. At the end of yoga practice, your body, mind and soul will experience profound relaxation and deep meditation. A great yoga class leaves you feeling inner peace and silence after the practice. You will experience increased energy levels from the practice. His class changes according student interest, flexibility and level. This method is dynamic and fun – learning new asanas and techniques every day. 1. Awarded Ph.D. degree by Gurukul Kangari University, Haridwar, India 2011. 2. Nepal Vidyabhushan ‘KA’ honored by the President of Nepal Dr.